Three Auburn Engineering faculty members were recognized for their research endeavors and mentorship Tuesday at Auburn University’s annual Faculty Awards ceremony. 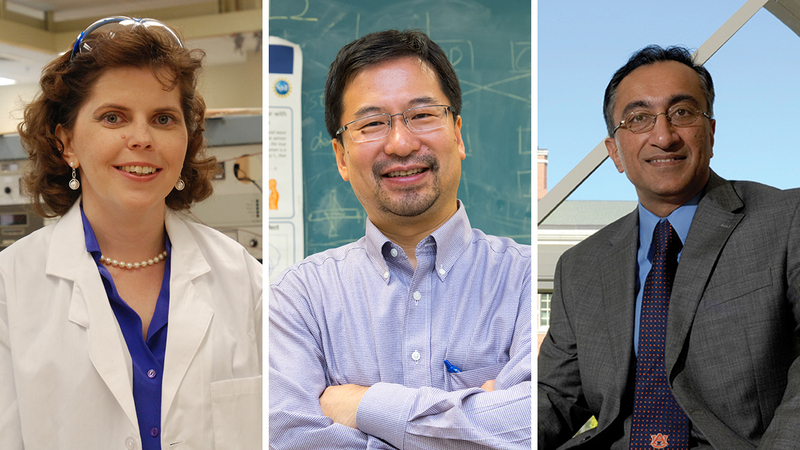 The awards honor some of the institution’s most innovative teachers, researchers and scholars for their unique and distinguished contributions to advancing the university’s mission to inspire, innovate and transform in the community and beyond. 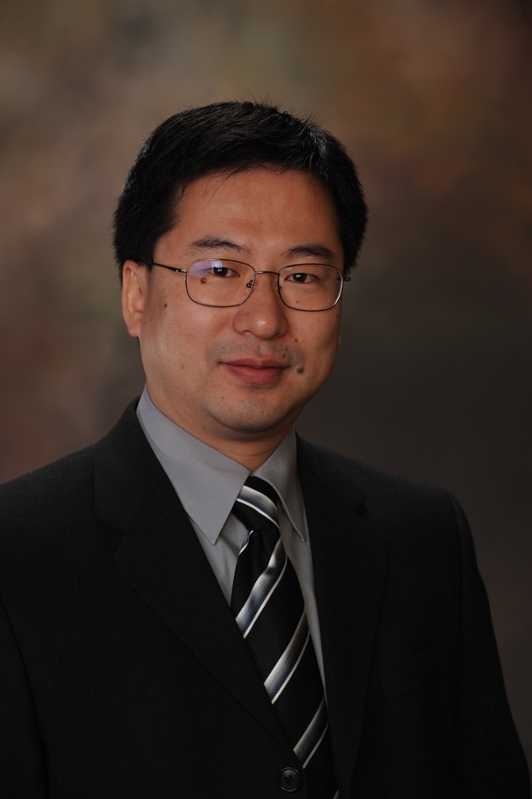 Shiwen Mao, the Samuel Ginn Professor of electrical and computer engineering and director of the Wireless Engineering Research and Education Center, was one of three winners of the university’s Creative Research and Scholarship Awards. These awards honor the research achievements and contributions of faculty who have distinguished themselves through research, scholarly works and creative contributions to their fields. 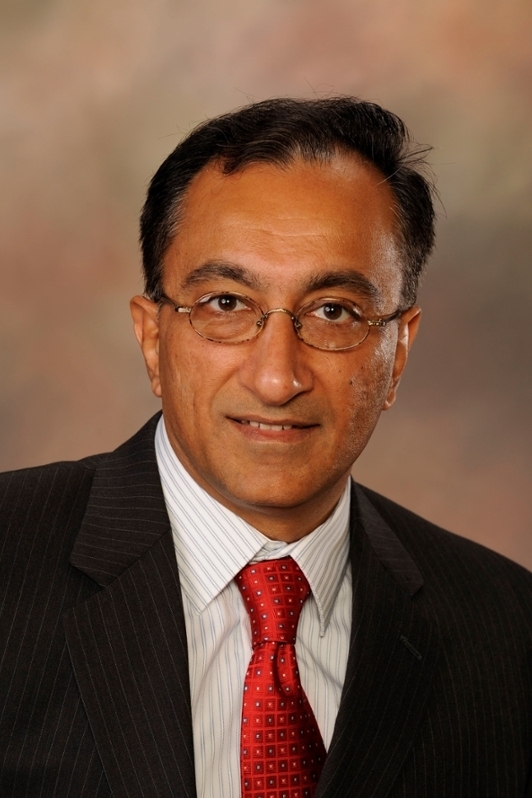 Pradeep Lall, the MacFarlane Professor of mechanical engineering and director of the Center for Advanced Vehicle and Extreme Environment Electronics, was honored with the Research and Economic Development Advisory Board Advancement of Research and Scholarship Achievement Award. It is presented to a faculty member in recognition of high-quality, competitive research and scholarly activity that exemplifies and advances Auburn’s research and scholarship mission. Virginia Davis, Alumni Professor of chemical engineering, was presented with the Provost Award for Faculty Excellence in Undergraduate Research Mentoring. Established in 2012, this award recognizes faculty who demonstrate a strong commitment to undergraduate research, whose efforts support Auburn students interested in careers in research and creative works and who have demonstrated outstanding service to students. 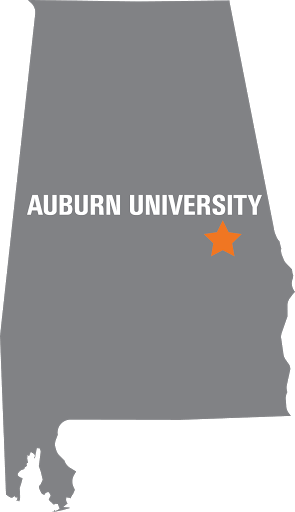 Read more about Auburn’s faculty awards and how the university is on the move as a national leader in scholarship, student experience, outreach, research and economic development at the Faculty Awards website.